The brief was to design a new tool or gadget for use in preparing, growing, or preserving herbs in the home. As an ingredient in kitchens, herbs are big business. We have seen strong demand in all of our markets for innovative, new products that service the use, care and storage of fresh herbs. In the US alone, the market is estimated to be worth over $100 million annually, and it is one of the biggest growth areas. 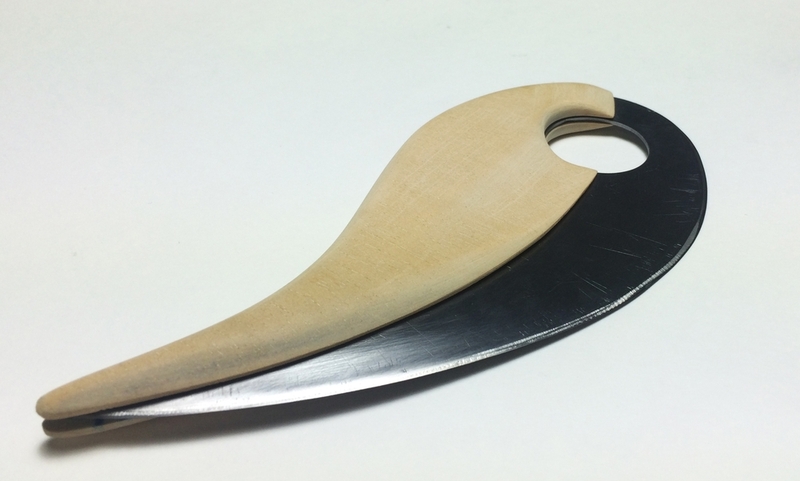 An opportunity was identified to bring to market a new family of herb tools and gadgets with a common DNA; each tool had to offer a functional point of difference or improvement above and beyond the tools currently available. Products could offer an improvement upon an existing format (such as a chopper or herb pot), or an entirely new way of performing a task. The key is developing a functional point of difference that allows them to stand apart in the market. 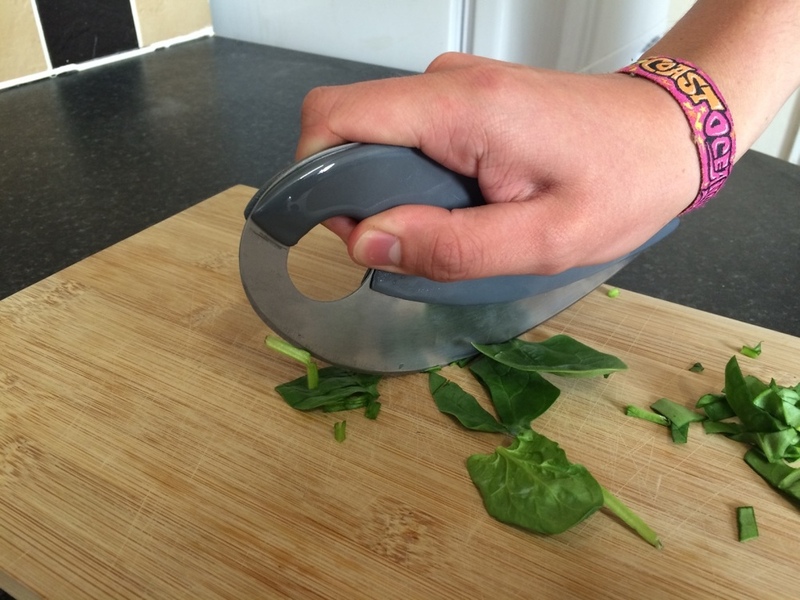 The form and design of Motion was influenced by the shape of a basil leaf and the addition of a hole through the knife and indentations on either side improved the functionality. The design aim of Motion was for the mezzaluna to be easy to use, simple, streamlined and focuses on allowing the user the freedom of movement to use it in a variety of different ways by both the novice cook and the expert chef.